Those two words came up a few times on Saturday night, rightly so. 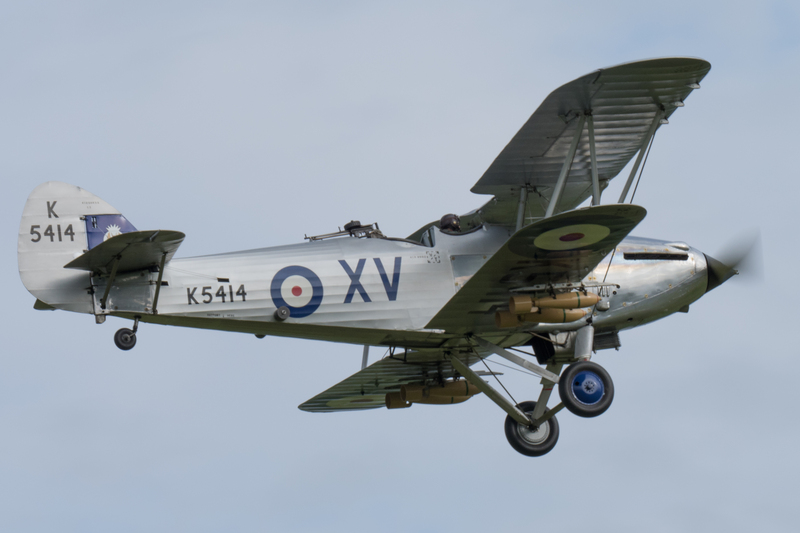 There truly is nothing quite like Old Warden, no matter which of the based aircraft are in the air you are always aware that there is nowhere else in the world where such a sight could be seen. An evening display, while generally shorter, always comes tied with an even more relaxed atmosphere, usually tied with excellent light and calm conditions. 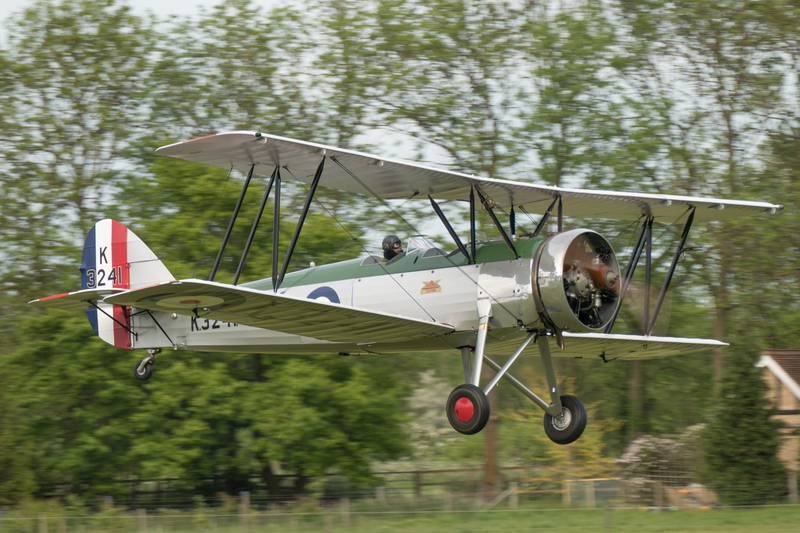 Sadly the excellent light was in short supply as it was for much of the bank holiday weekend, but as the Kestrel kicked into life in the Hawker Hind that didn’t seem to matter much. 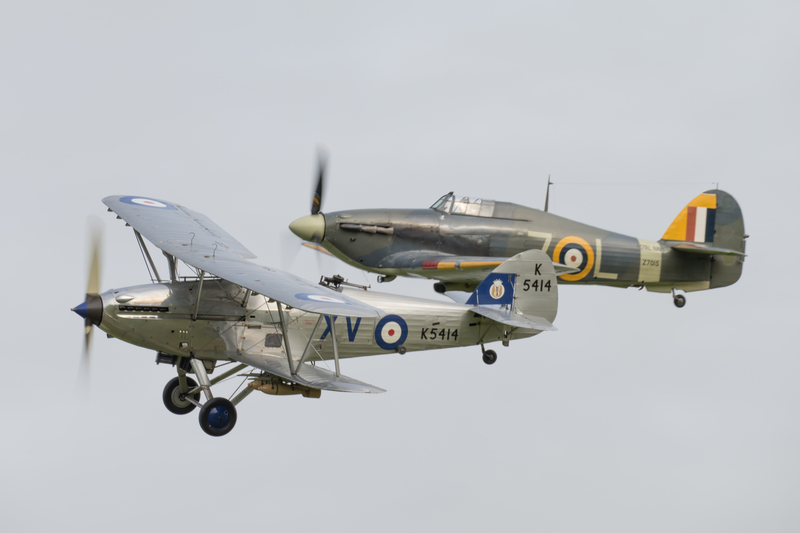 The show started with the collection’s Hind and Sea Hurricane displaying in formation, two beautiful examples of the Hawker lineage in close formation always makes for an impressive display. This was just the tip of the iceberg when it came to rare formations for the evening though! The pairs routine was followed by two up close and personal solo displays from each of the types, both being flown in that familiar Shuttleworth style. 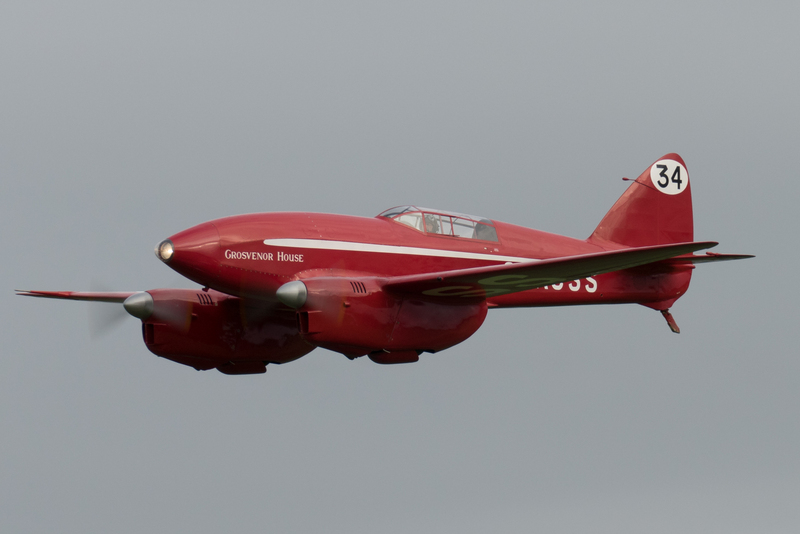 The next aircraft to get airborne, before the Hawker pair recovered, was an aircraft which will always remain the star of any airshow it takes part in, the DH88 Comet. In the days leading up to the show it had been made public that the Comet would be leading a unique formation during the display. 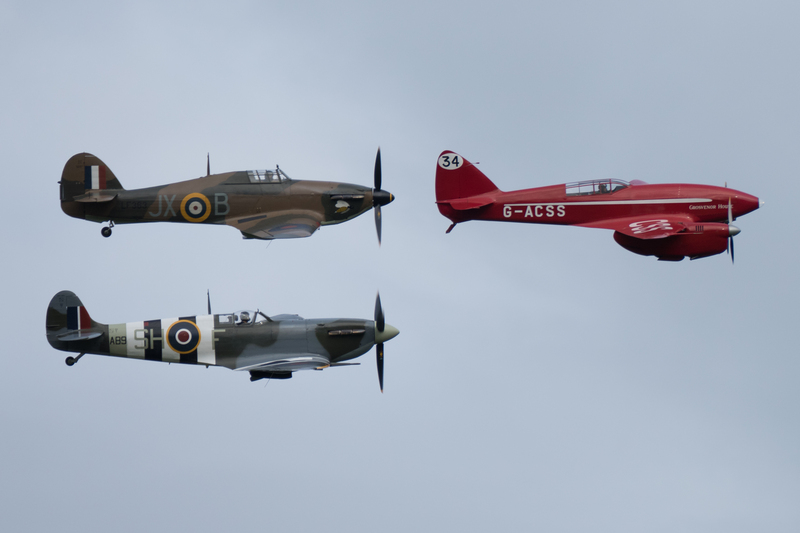 The iconic racer would be joined by a Spitfire and Hurricane of the Battle Of Britain Memorial Flight. It is rare to see the Memorial Flight flying in formation with civilian operators, so this came as a huge surprise to many. I watched with interest as Dodge Bailey circled the Comet around the hold while waiting for the two fighters, then subsequently bringing them into formation before running in over the airfield. Dodge Bailey leads the BBMF pair past the Old Warden flight. Some have commented that the combination seemed strange, I would certainly argue the contrary. All three aircraft are icons of British aviation design, amazingly representing 3 consecutive years of aviation heritage, 1934 (Comet), 1935 (Hurricane) and 1936 (Spitfire). Of course, almost better than the unique sight, was the sound, two merlins with twin Gipsy’s made for a wonderful sound echoing around the Bedfordshire skies. All who made this unique formation happen deserve hearty congratulations for pulling off something very different and memorable. The Comet and Mew Gull pairing were another impressive formation. The Comet’s flight was certainly good value for this show, once the BBMF had cleared the air space the familiar red racer appeared low and fast from behind the trees at the far right of the field and entered into a typical elegant yet powerful display. A Comet solo will always remain one of the most beautiful routines I have ever seen. As if this wasn’t enough the Collections Mew Gull got airborne and joined the Comet for a series of formation passes. Another wonderful sight. Again this was followed by an impressive solo from the Gull. The Comet runs in for its solo display. I can’t really touch on the Comet without mentioning its landings! Dodge certainly had to fight on this occasion to get the machine back down on terra firma. I recall his talk in front of the aircraft from last October where he emphasised the importance of keeping the wings in a flying, level attitude until safely below flying speed, so as to avoid the Comets nasty stall. So it was no surprise to me when the first two landings, given the very light winds, led to go arounds. Both seemed to be handled very well and a successful landing was carried out on the opposite runway. As I’m sure he always does, Dodge received a well earned round of applause on shut down. I think I speak for every enthusiast when I thank him for flying and displaying this iconic machine. The B2 during its solo display. Enough of my star of the show though, there were many other aircraft on display, the “sole survivor” section of the display featured the Avro Tutor, Hawker Tomtit and Blackburn B2, all performing in formation as well as solo routines. The Blackburn put in a particularly spirited aerobatic display in the evening light. Avro Tutor shortly after take-off. 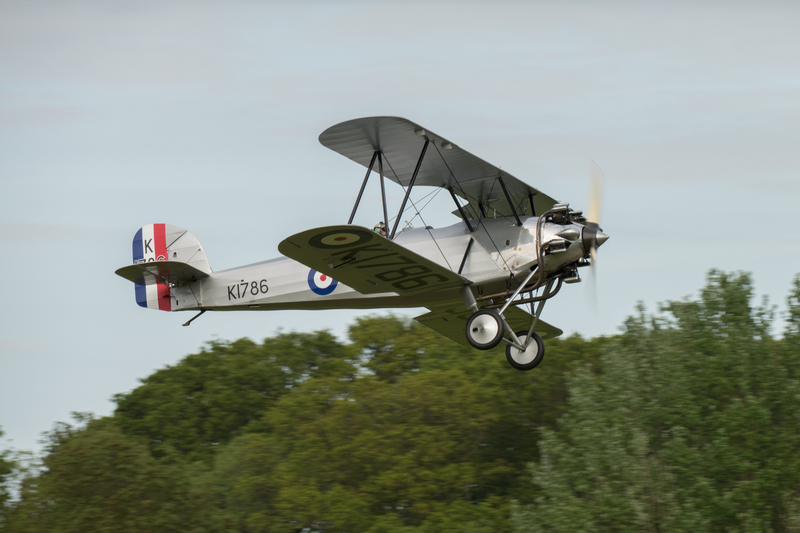 One area of aviation history where Shuttleworth has a large stake in the market is the Lympne trials, which the collection are lucky enough to own a number of types from. Three such types made up another section of the evenings entertainment. 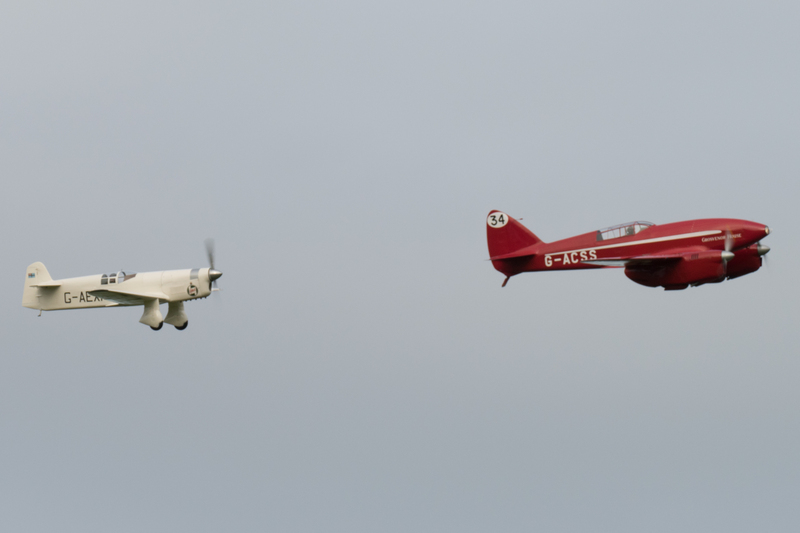 Led by the Hawker Cygnet and Anec II these lightweight and often unconventional designs make for an interesting act. 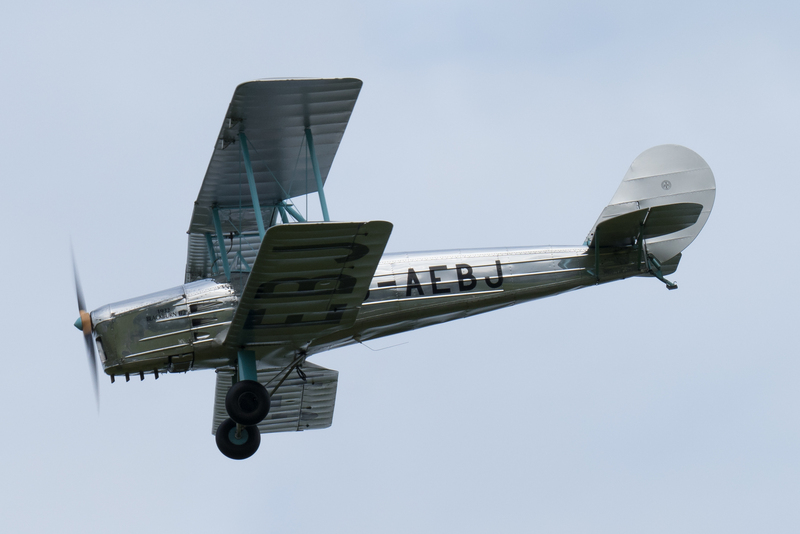 The star of these segments always seems to be the English Electric Wren, which despite its odd looks and constantly conservative performance at air shows actually won the trials in 1923! The EE Wren putting an impressive amount of space between it and the ground! The Wren put in one of the better performances I have seen from it at this show, gaining a surprising amount of height on its downhill runs. They even managed to get all three aircraft in the air at the same time and in the same piece of sky no less. It was the turn of the other visiting act for the evening to close the show, something very different from every other act of the night. Lauren Richardson is building quite the reputation for her Pitts Special displays around the UK, up until Saturday I hadn’t been lucky enough to see the routine. It was certainly an impressive sight, with flick rolls and tail slides galore! All flown very well and the curved display line was put to good use. The knife edge passes at the end really were something else! 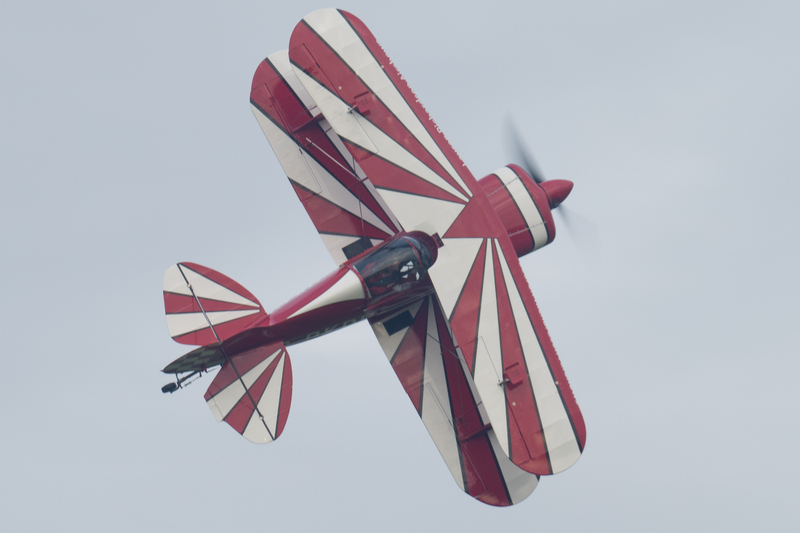 Lauren Richardson brings her Pitts Special in for one of a series of knife edge passes. The moment many wait for at Shuttleworth is the Edwardians. Sometimes you can go years without getting lucky enough, however the evening displays are generally the best opportunities, as it allows more time for the wind to die down. 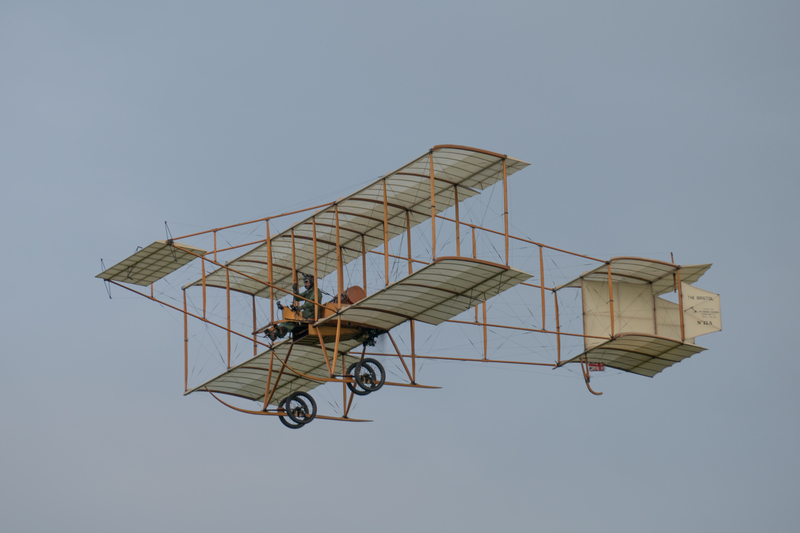 This show was a refreshing change in that the Edwardians were out on the airfield before the main flying even started, such were the good conditions. 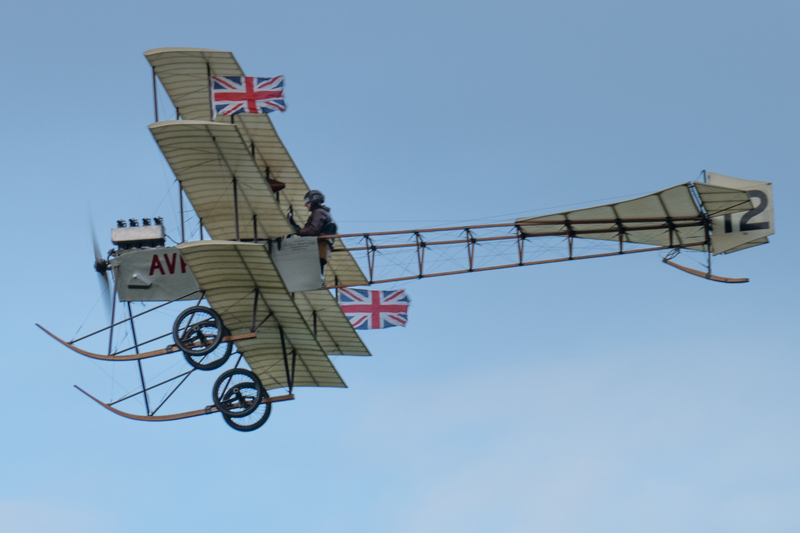 The Avro Triplane during its extended display. We were treated to four of the collections Pre WW1 types, the Avro Triplane and Bristol Boxkite put in extended displays, even including some formation passes. This was bolstered by the Southern Martlet, providing a pleasant contrast to the basic framework of the Boxkite. The Boxkite is always a pleasure to see. 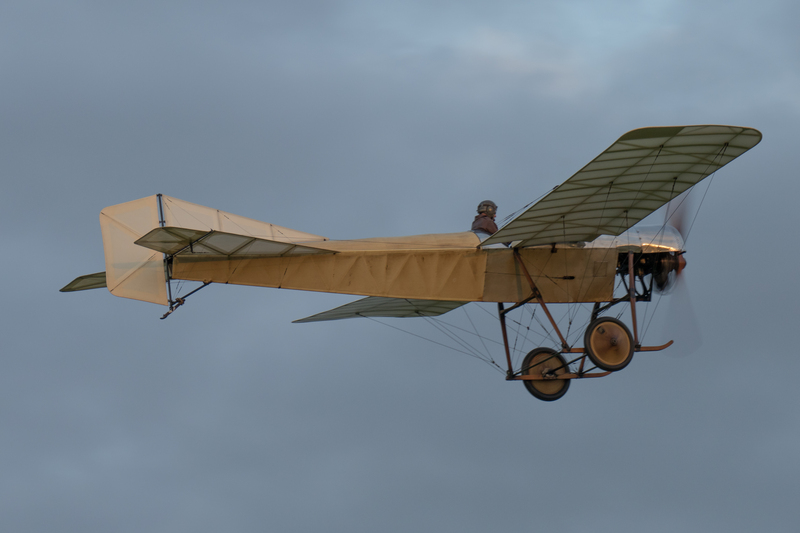 While the Boxkite and Triplane are very impressive aircraft in their own right, they are replicas and can are seen flying more regularly than others. The real jewels of the collection are the three original aircraft, the Bleriot, Blackburn and Deperdussin. The latter two we were lucky enough to see on Saturday night. The Deperdussin can only manage short hops these days, but managed to put in two of the more impressive I have seen, gaining a fair amount of height before returning to the ground. 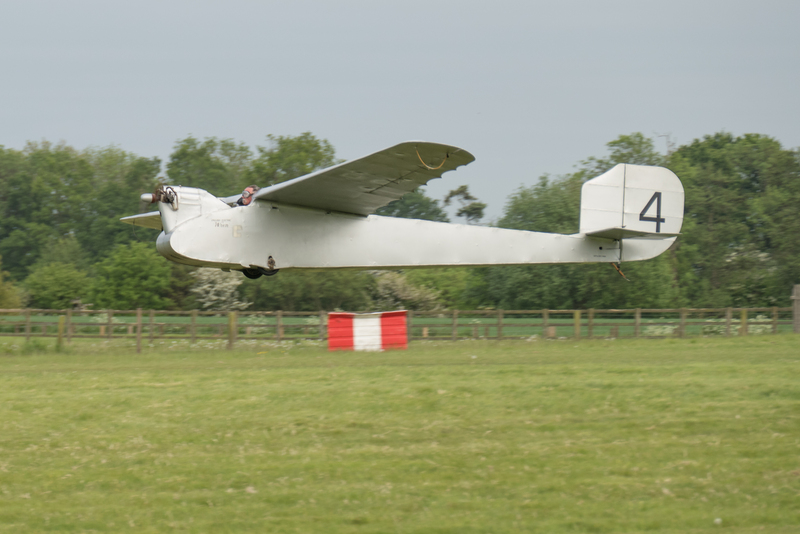 The Deperdussin during one of its hops down the runway. 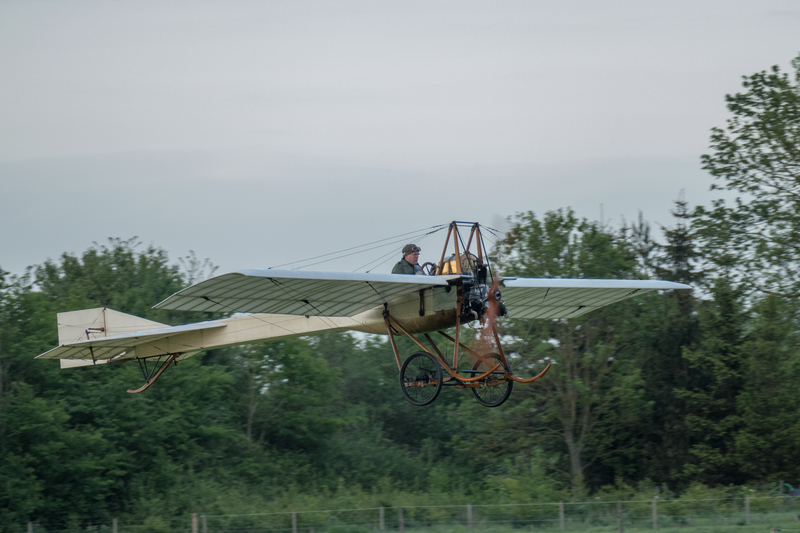 Proceedings were brought to a close shortly before 9 O’clock with the Blackburn monoplane, the 1912 rotary powered design always surprises by getting airborne and flying circuits around the field and has to be one of the most spellbinding flights that anyone can witness in the UK or around the world. A very fitting finale. 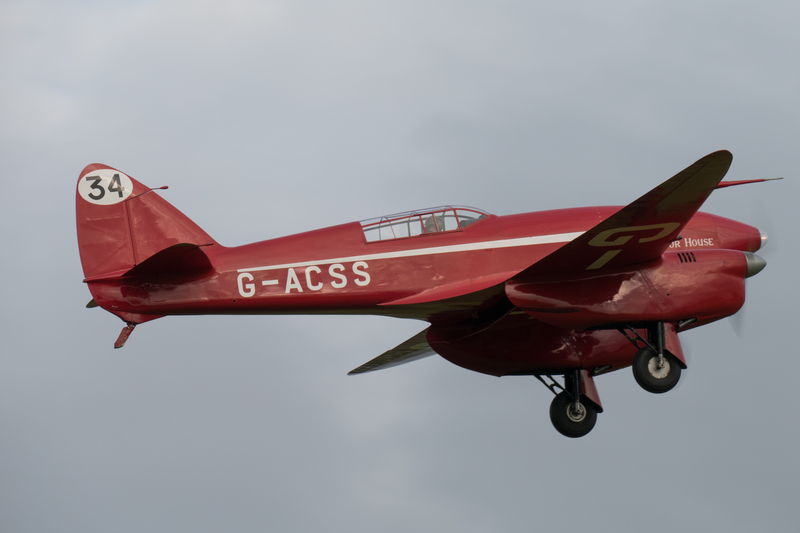 While perhaps a little thinner on the ground in terms of participants, this show certainly packed a punch in terms of the quality, combined with the up close and relaxed atmosphere that Old Warden lives and breathes this show was always going to be a great evenings entertainment. The next Evening show is on the 20th June, be sure not to miss it!